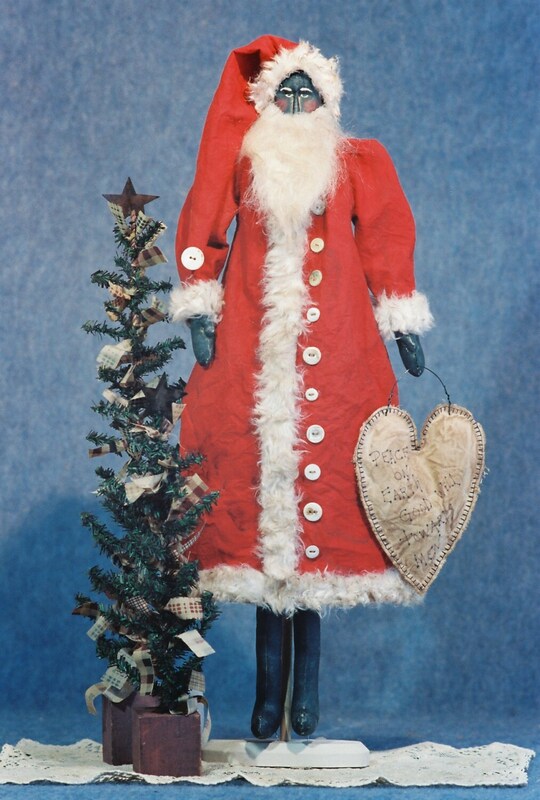 Peace on Earth - 24" Primitive style Santa cloth doll E-pattern. Body is muslin that is painted and stained. Face is needle sculpted. Beard is tea stained fur. Coat and hat trimmed in tea stained fur. Coat is adorned with lots of buttons. Makes a wonderful primitive décor piece or craft fair item. Instant PDF download includes easy to follow instructions, doll pattern, clothing pattern, heart pattern also included and a complete suggested materials list.